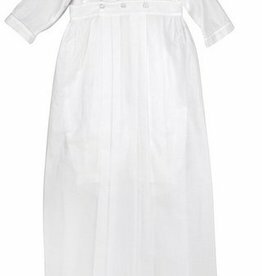 Perfect for this special day, a collared christening gown with smocking and button detail. 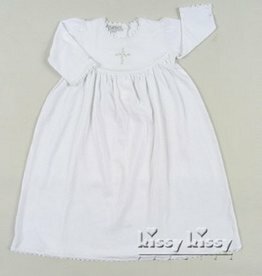 Beautiful white smocked Christening gown from Kissy Kissy. The gown unbuttons and converts to a romper. Snaps in the striped. 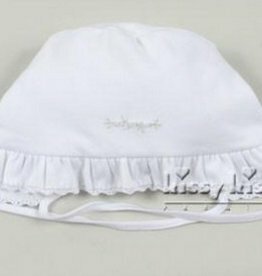 Includes matching bonnet. The tuxedo top and pleated bottom create a handsome style for this special day. 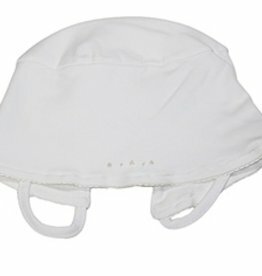 Kissy Kissy Premier Hopes Cross 100% Pima Cotton Hat. Made in Peru. 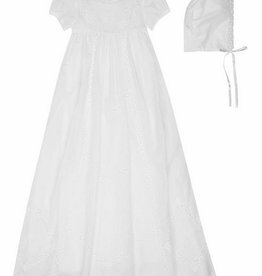 Made of very soft pima cotton this Kissy Kissy girls day gown features white decorative edging and a cross embroidery with pale green flower detail centered on the chest. Perfect for any Sunday, Easter, or Christening! This is a beautiful boys playsuit. 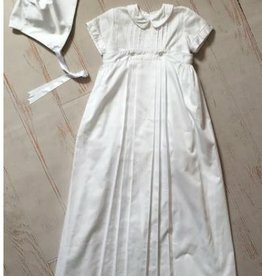 It is white with ecru edging and embroidery. The embroidery is on the chest and is a cross design. 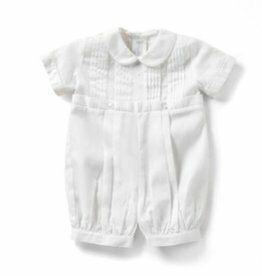 The playsuit is made of 100% soft pima cotton. 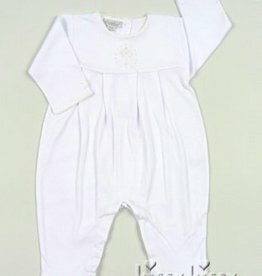 Perfect for Easter, Christening, or a Sunday outfit! White with tonal lace trim.